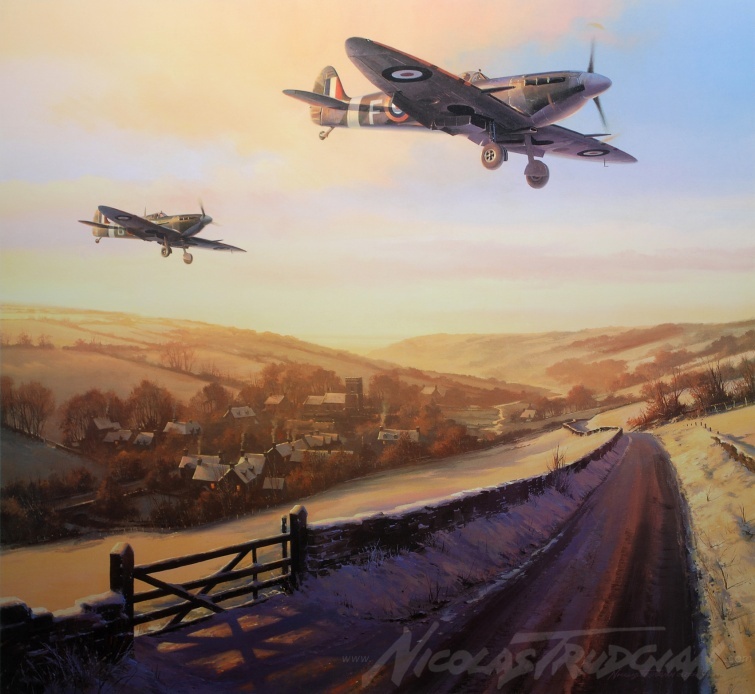 From beneath a blanket of snow an English village rises from its slumbers to the comforting sound of Spitfires returning from a dawn patrol. The Battle of Britain might have been won but the country was now under siege and, during these dangerous times before the tide of war turned, RAF kept constant vigil. Signed by four fighter pilots who flew the Spitfire in combat during World War II.